“Nobody before this has ever statistically determined that a single stone circle was constructed with astronomical phenomena in mind — it was all supposition,” says project leader and University of Adelaide Visiting Research Fellow Dr Gail Higginbottom, who is also a Visiting Research Fellow at the Australian National University. The stones, however, are not just connected with the Sun and the Moon. The researchers discovered a complex relationship between the alignment of the stones, the surrounding landscape and horizon, and the movements of the Sun and the Moon across that landscape. “This research is finally proof that the ancient Britons connected the Earth to the sky with their earliest standing stones, and that this practice continued in the same way for 2000 years,” says Dr Higginbottom. How did they set the alignment for those (majority) of missing stones at Stenness? That is a stupid lie. It has been common knowledge–not “supposition”–among those who study the subject, especially since the work of Sir Norman Lockyer (“The Dawn of Astronomy”, 1894). This is just the most recent hyped “discovery”. And I am the only scientist in the world who can tell you with utter assurance WHY such astronomical alignments were memorialized. It originated with the Great Design of the “gods”, in which the surface of the Earth, and the entire solar system, were deliberately re-formed and re-oriented, with those (then new) astronomical alignments established by the design. 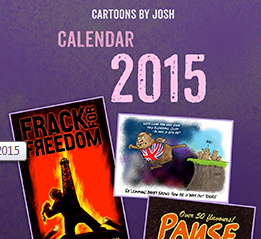 Also, OldmanK has done some good work on the Maltese stone calendars. Great that this new study adds some stats rigour though. Was going to post elsewhere but this fits here just the same. It is Skara Brae, but look closely at the dates. 3195bce and 2345bce, both were critical eras. Although the 2500 date is not quite near the famous 2200 (most likely 2345) that really depends on the C14 of whatever material was found. Older if it was already dead such as bottom sediment material. Skara Brae was buried in sand. 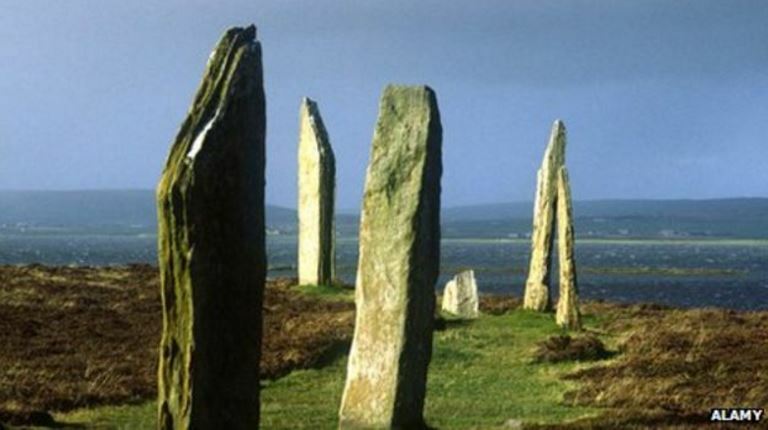 So was Ring of Brodgar – 2300 with ocean sediment; Gobleki Tepe -???? ; Tarxien temple -23xx with sea sand, and several more for sure. Yes astronomy was used to follow the changes that were occurring over the previous two millennia, closely followed with a technology we never understood. Hi PG, nice attempt, but that raises more questions (and anomalies) than it answers. (sorry- but its the only way I can link, and you won’t find these anywhere else). Follow the yellow line as on the solstice day. What is that structure for? (forget about temple virgins, not even good for a dog). But the increased distance to the back amplifies and reduces errors in measuring obliquity -or year to year changes. 18deg was original design, same as others before, 28 as modified -today’s obliquity. Note also the labyrinthine passage to seal out all light but leaving access – there are more ingenious features . (Today some visit for seances — no problem, they’re welcome). Back to the subject of this thread, what appears crude, if properly understood, may turn out to be superior than today’s. We won’t know until we solve it. SIS briefly reviews the sad state of archaeo-astronomy in Britain. oldbrew thank you for the above post and link. That coming on the same day of my posting material that I’m sure many would shoot up eyebrows, well—its a relief. But yes, maverick thinking and voicing it, unfortunately, is a career wrecker and I blame no one for staying away. I come from a different field (though reverse engineering is in my field not that of the historian), am retired and have no career to risk; yes I did consider. Dodwell suffered from that, and then with his own astronomer colleagues. Quoting from the link “yet they go back over 8000 years ago, deep into the Mesolithic period (pre-farming)”, I do not consider the term ‘pre-farming’ correct. The development and hybridisation of cereals is more ancient than that. An ancient myth developed from that and even that is older. The fig tree is another enigma in its development and also that goes further back than 9000 years. Meaning that farming was not only developed but also with specialist sectors. The problem is that humanity is prone to lapse back into ignorance, and we have enough examples from the last millennium itself. (b) that Alexander Thom’s highly original and comprehensive work should be excluded from 21st century thinking. On the first count, it is now obvious that alignments were primary components of standing stone and ring monuments and, on the second, since Thom is not referenced by this work, Clive Ruggles has effectively eliminated Thom’s contribution to this subject from archaeology; and that was also obviously wrong. The ability to make data sets from mapping and laser data has enabled the 21st Century archaeologist to “leap frog” Thom, yet to say the same things he said, though easily to their own apparent credit or out of nowhere, with no sense of historical development. What was already quite obvious has now been upgraded to the blinking obvious but, it seems, by the right sort of people. Yet no thinking is required, no mysteries solved. All we have lost is fifty years and possibly our window of opportunity. It seems that any evidence that relates science to planets is viewed as some sort of astrology, and as such must be dismissed or suppressed. We see this approach in both archaeology and climate science, for example. It grieves me that the archaeological establishment seems to ignore the alignments but gives time for interesting, though some would say, crackpot ideas. They rubbished Professor Hawkins book on the astronomical alignments at Stonehenge and ignored the significance of the car park post holes by C. A. Newham – see overview at my word press blog – the archaeological establishment rarely mentions the alignments in any programme about Stonehenge. They tend to be repeating the debate on the bluestones and how to move the stones and suddenly ‘discovering’ that Stonehenge was built as an acoustic performance stage, a centre of healing, a cemetery for the elite, and an ancient team-building exercise. It may have become all of these over time, but surely it is obvious that it’s primary purpose was an astronomical observatory. Now if it could predict eclipses that would give the predicters a tremendous power over the population as documented by Captain Cook when the natives wouldn’t give him supplies.